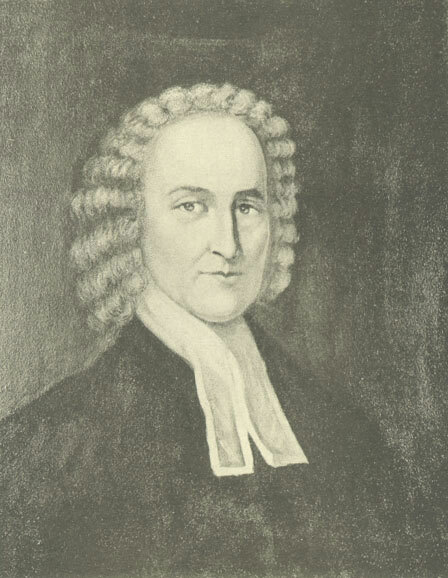 A new exhibit at Princeton University's Seeley G. Mudd Manuscript Library commemorates the 300th anniversary of the birth of the American theologian and philosopher Jonathan Edwards. The exhibit features a large portrait, 14 books, and 15 documents from the Princeton University Library's Department of Rare Books and Special Collections. Running from July 21, 2003 through February 1, 2004, the exhibit chronicles Edwards's life as a preacher, leader of the religious revival known as the Great Awakening, and the third president of the College of New Jersey, as Princeton University was known in his day. Overall, the exhibit captures the religious fervor of the 18th century and Edwards's influential role in shaping it. A sampling of items from the exhibit can be viewed by following the links below. Also of interest is the web site of The Works of Jonathan Edwards. This scholarly project, designed to publish all of Edwards's writings, is sponsoring a national symposium at the Library of Congress from October 3-4, 2003 in honor of his tercentennial. Follow these links for more information about the Seeley G. Mudd Manuscript Library and Princeton University.